DotConnectAfrica participated in the just concluded Annual IGF meeting but it reports a new development that curiously threatens its bid since a meeting that was exclusively convened and attended by its competitor announced moves to curtail its application. The IGF which is supposed to be a multi-stakeholder platform where discussions from all quarters are accommodated may have forgotten this important fact that conveners are supposed to promote impartially. From what is becoming a routine and a precedent record for future issues, it appears that ICANN is now illegitimately sponsoring members of the what many had called a self selected “ICANN-Africa strategy working group (ASWG) ” who have used this meeting platform and possible future meetings to host an exclusive “AUC-DotAfrica initiative” the group supports. An ICANN Africa strategy was announced in ICANN Toronto following the post ICANN Prague meeting dated 10 August 2012 by proponents of the ASWG and ICANN. To give credence to a recent commentary I read on Circle ID, “ICANN Africa Strategy: A New Approach to Africa – Welcome, but not Inclusive” by Dr Yassin Mshana and related African email listings that expressed concern over the self-selection of the ASWG , which seem to comprise of the same or key grouping of the AU DotAfrica Task Force, including the Chair and Vice Chair namely Nii Quaynor and Pierre Dandjinou among others with a known vested interest in .africa, henceforth vehement opposition to DCA’s .africa bid. This same ASWG also includes Alice Munyua, the convener of International IGF and notably who led the Africa IGF Agenda at Baku, as well as the discussions on the “AUC .Africa initiative”. Alice also is historically a vocal opposition to DCA’s .africa, which has provoked DCA to recently retaliate in a stop misrepresenting facts to the African publics campaign on Alice. 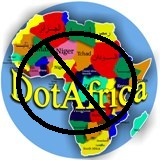 To the above writer’s credit, not only was the ICANN Africa Strategy not inclusive, the way it is being currently conducted, it seem to be a dangerous agenda for DotConnectAfrica’s bid. From the African public email forum that I gathered, it seem to be that not only various people were complaining on the formation of the group, people were surprised with the rushly formulated ICANN Africa Strategy, which was later conveniently camouflaged under the cover of Internationalization Agenda of ICANN, supported by the newly hired CEO and Chairman of ICANN. DotConnectAfrica’s CEO tried to clarify this confusion to the public interest in a recent commentary “ICANN Africa Strategy” is not the same as ‘Africa Agenda’. This is a move likely to surprise everyone in a period where ICANN is presiding over the new gTLD application. Should the internet audience be led to believe that the ICANN Africa Strategy sponsored by ICANN is advocating for an “AUC-DotAfrica Initiative”, serious problems lay ahead for ICANN/DCA relations and DCA bid. This was also noted by DCA itself, as it has submitted an early warning to ICANN on the matter in a letter dated 18th July 2012 titled “Letter to ICANN Board of Directors on recent announcement of Africa Strategy”, posted on DCA’s website. From such forum at the UN sponsored IGF, I may have to agree with DotConnectAfrica.’s forewarning. It would presume ICANN by default has sponsored an AUC Africa Agenda prematurely approving one bidder over another, thereby seriously tipping the balances in a biased way. Perhaps to rid any doubt of support of operatives within ICANN, it will be in the interest of all of us to see that both ICANN applicants are placed in an equal footing and not in flattering situations that would give an upper hand. Such demeanor’s only endanger ICANN’s position to remain an impartial arbitrator in this matter. I hope my writing is a WAKE UP call for ICANN if they are asleep! Is ICANN supporting the failed African Agenda or ICANN Africa Strategy- A New Approach to Africa? Please clarify ICANN. tweet, tweet this article please.